by Belinda Chiu June 4, 2018 Time to read: 5 min. Fancy adverts for retreats offering yoga by oceans or a fine wine often grace the pages of magazines on mindfulness and wellness. Then there are the less advertised retreats, those done in silence or without the luxuries of a 5-star restaurant or indoor plumbing. Regardless of our preferences or current goals, time away from our “regular” lives is meant to help us reset and renew in some manner. In a world that doesn’t stop moving, our brains are constantly under fire, and as we now know, chronic stressors can have long-term implications on the way our brains function, our emotional balance, and our capacity to maintain healthy relationships. 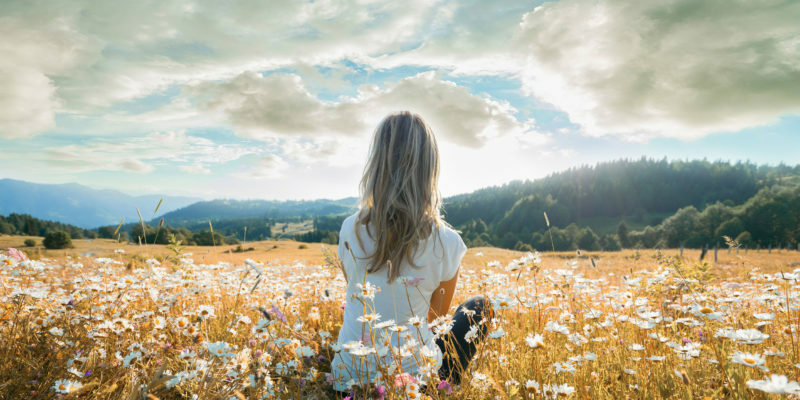 While some retreats allow participants to delve deeper into self-reflection, and others are meant more for pleasure, they all help us press the pause button and find space. Retreats may provide us with physical refuge, but they can also serve as liminal spaces. Liminal, from the Latin root limen meaning “threshold,” refers to the notion of the in-between, a place of transition, the after-the-before and before-the-next. Liminal spaces generally refer to those places and even states of mind in which we feel uncomfortable. The sense of uncomfortableness often stems from a place of uncertainty. For many of us, uncertainty can give us great anxiety. For many obvious reasons, we find security in knowing what we’ll be doing, who we’ll be with, and where we’ll be living. We are creatures of habit and often squirm when we have to endure upheavals, whether big – a job loss, divorce, relocation, or small – ever get upset because your regular coffee shop runs out of your preferred roast? However, these transitional times require us to sit in the discomfort because, well, we have no other option. And it is often during this discomfort and in these spaces that we find growth. People have sought out such spaces for thousands of years in search of meaning and purpose. One such liminal space is the famous Camino de Santiago, the Way of St. James. Rare would be one who has walked this Catholic pilgrimage who was not changed in some capacity. While there are many paths to Santiago, the most popular is the Camino Frances, an 800-km walk from St. Jean-Pied-de-Port in southern France to Santiago in western Spain. Several years ago, I spent 30 days walking the Way, carrying with me everything I needed, food notwithstanding. For 30 days, I woke up at 4:30am and walked until I was tired. For 30 days, I kept my cell phone in my pocket for emergencies and occasional check-ins. For 30 days, I met pilgrims from all over the world walking for different reasons: honoring religion, recovering from divorce, celebrating beating cancer, sightseeing, adventure. Whatever the reason, each pilgrim entered a physical, mental, emotional, and spiritual liminal space of their own. Such liminal spaces force us to confront ourselves, our thoughts, and our emotions and to remove the façade many of us carry. One conversation I will never forget was with a young Dane, who was a good foot taller than me. As we walked, he said to me, “you’re only the second American I have met who truly seems happy.” He articulated his observation that as a generalization, he found Europeans more willing to be upfront about their struggles, and the Camino was a way for them to confront their transitional discomfort. On the other hand, he found Americans were generally eager to express a mirage of happiness and upbeat engagement that crumbled as the Camino became not the escape they hoped for, but a journey that required them be naked with themselves. The Camino, like many liminal spaces, can leave its pilgrims feeling unsettled, whether because we wished we paid more attention in Spanish class, or that we didn’t have ten pairs of shoes to choose from, or that we weren’t really sure where we’d be sleeping that night until we stopped for the day. Much of this journey is done in silence for hours, and for some, its entirety. During this time, we are alone with nature and our thoughts and for many, it is the first time to be so, and it can be uncomfortable. 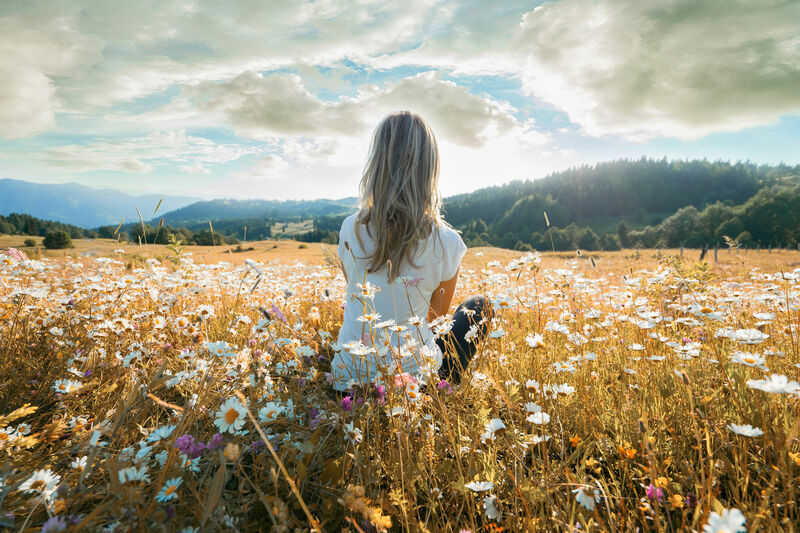 Pilgrimages and retreats can be extremely challenging for those of us with an underlying mental condition and even those who do not have a regular practice in mindfulness. For example, there are reports every year of tourists to Jerusalem, a rather powerful liminal space, who exhibit symptoms of the Jerusalem Syndrome, a disorder whereby individuals who had no previous signs of psychosis suffer from an acute episode when there. On the Camino, while not common, it was not unheard of for pilgrims to seek refuge in a bottle after a few days because the discomfort of silence and the space was overwhelming. Sadly, there is an increasing number of pilgrims who bring their iPhones to drown out their inner voices with other people’s noises. Fortunately, mindfulness and emotional intelligence can help us to seek out liminal experiences for their capacity to help us grow and transform. When we are able to bring a greater awareness of our emotional states, we become more willing to step into physical and mental places of discomfort. We are less susceptible to external and internal triggers, we ruminate less, and we worry less about the unknown. Mindfulness and emotional balance allows us sit in presence because we are less preoccupied with what happened or what will happen. By expanding our awareness – and awareness of awareness – we can be more readily available to act with wisdom and discernment and to listen to our inner voices with kindness, without being swept away by their cacophony. 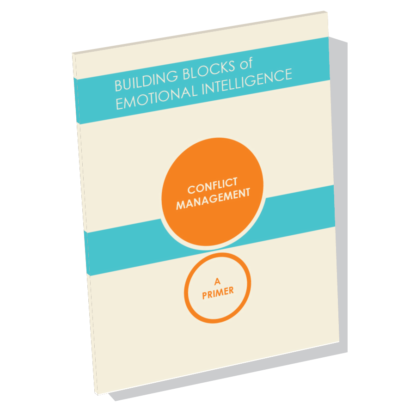 When we build our emotional intelligence, particularly though mindfulness meditation, we build our capacity for resilience and balance, allowing us to better manage the subtle and the tumultuous disruptions of life. As Daniel Goleman and Richard Davidson wrote on the impact of meditation in Altered Traits, “the after is the before for the next during.” In other words, after we meditate, we can make long-lasting internal changes, which alters how we were before the meditation, setting a new baseline before the next practice. With repeated practice, we find strength in stillness and courage in balance. This practice doesn’t require us to go on a 30-day pilgrimage or a mountain retreat. While those can be valuable and transformative experiences, we can also sit in our bedrooms to enter liminal spaces with awareness and a beginner’s mind, enhancing our ability to embrace life’s constant uncertainties with curiosity and presence. Interested in learning more about mindfulness and the science behind it? 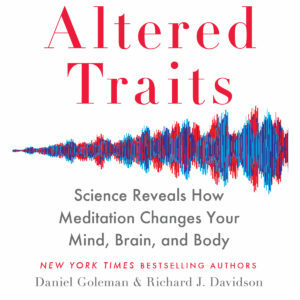 Listen to Daniel Goleman read his book, Altered Traits: Science Reveals How Meditation Changes Your Mind, Brain, and Body, written in collaboration with neuroscientist Richard J. Davidson. This audiobook, available as a download or on a reusable USB drive, is the perfect accompaniment to your commute or workout. If you’d like to work with Belinda and help others develop their Emotional Intelligence, we encourage you to apply for the Daniel Goleman Emotional Intelligence Coaching Certification. This in-depth program, akin to a professional degree, draws upon a range of evidence-based concepts and practices, including the Emotional & Social Intelligence framework. Coaches will gain meaningful new insights to impact their personal and professional lives through online learning, one-on-one guidance from a Meta-Coach, a coaching practicum, and more.